Hitman 2 was one of the best releases of last year, no doubt. 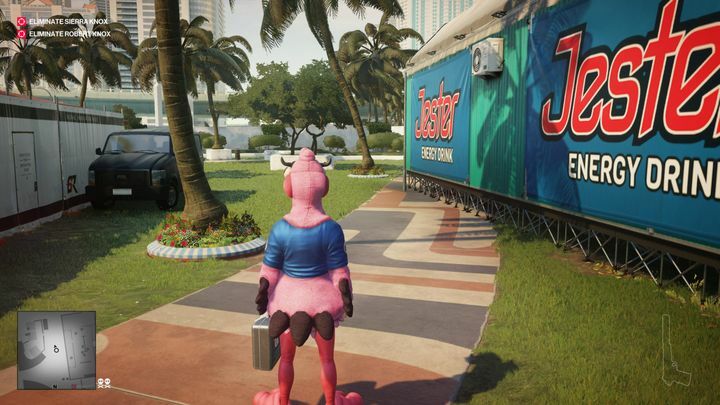 And although the base game offers plenty to keep you busy for quite some time, Danish developer IO Interactive has kept adding content to Hitman 2 since its launch last November. 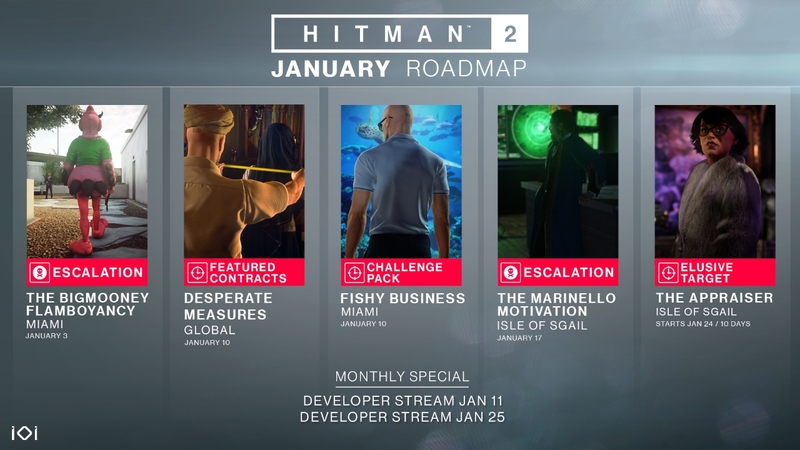 And now IO has revealed its January roadmap for Hitman 2 on its website, giving us a glimpse of what’s coming to the game this month. Also, IO has added ten featured contracts to the game. These too are player-created contracts, and IO is calling this particular lot “Desperate Measures” as they all involve the use of the fibre wire or tape measure to kill your target. And if you enjoy completing Hitman 2’s challenges, you’ll be pleased to know that six new challenges are now available in the Miami mission of the game. This challenge pack is called “Fishy Business”, and it will be interesting to find out whether these new challenges reveal any new details about the game’s story for sure. Those fond of Hitman’s Escalation Contracts will be pleased to know that another of these is coming in January. This one is set on the game’s mysterious Isle of Sgail, and like the rest comprises several levels, with different complications being added in each such as not being able to change disguises, or using a specific disguise or weapon to murder a target, for instance. Aside from all this, the game is getting a new Elusive Target on January 24. This Elusive Target mission is set on the Isle of Sgail too, and hopefully it will be as nerve-wracking as the last two (especially the one involving actor Sean Bean). Those still playing Hitman 2 will likely be looking forward to enjoying this new batch of content then, while it would be a great thing if game makers IO Interactive kept adding new stuff to their latest Hitman game during the rest of the year too.